If you are fascinated by how your body works and curious to know more about the interactions of living organisms then this is the course for you. Biology is an experimental subject which provides opportunities to use practical activities to link theory to real life situations. It combines well with other science subjects as well as Maths, Psychology and PE. The topics studied will build on prior learning at GCSE level and will cover a whole range of fundamental biological concepts applied to different situations to make the content interesting, relevant and current. The main topic areas studied are: biological molecules, cells, exchange of substances between organisms and their environment, genetic information, variation and relationships between organisms, energy transfers in and between organisms, how organisms respond to changes in their internal and external environments, genetics, populations, evolution and ecosystems, DNA Technology and the control of gene expression. GCSE Grade 6 or above in Biology and another science or two Grade 6s or above in Combined Science. Plus GCSE Grade 5 or above in Mathematics. Assessment is by examination. The Practical Endorsement is teacher-assessed. 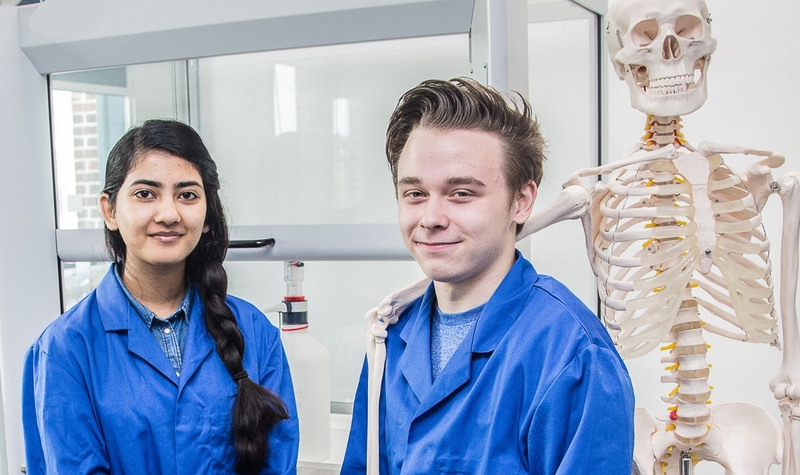 This A Level lays the groundwork for further study in a range of courses across the biology spectrum, including zoology, ecology, genetics, nursing, biomedical sciences and medicine and it is accepted as an appropriate A Level for many other degree level courses. Tracy has a BSc (Hons) degree in Applied Science, a PGCE from the University of Sheffield and has been teaching for 28 years.